115' VALDETTARO WORLD CRUISING SAIL YACHT "TITAN XIV"
TITAN XIV is one of the largest, most comfortable cruising yachts in her class. 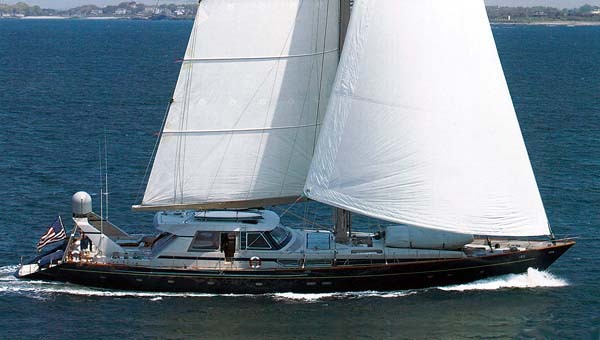 Combined with her condition, and excellent charter record, she will make a fine investment and wonderful sailing yacht. The vessel is in Lloyds A1 Class and Marshall Islands Commercial Compliant. 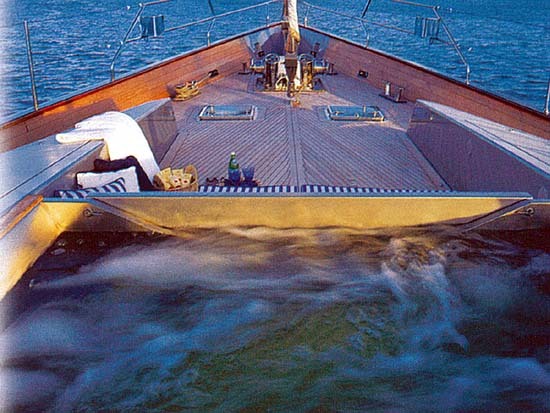 on this solid world cruising sailing yacht. During the recent Palm Beach Boat show, I inspected Titan XIV, the 115' Valdettaro world cruising sailboat. 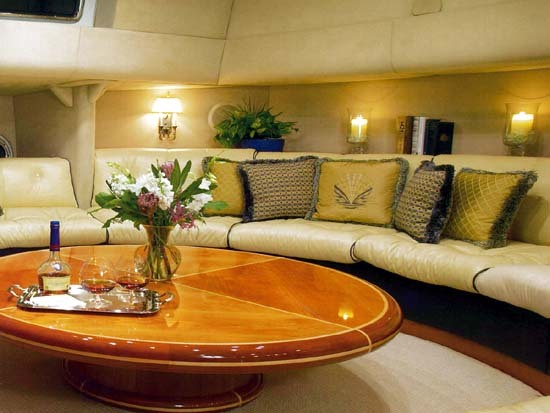 This is a huge motorsailer with an extensive deck house and covered lounging and dinning area on the main deck. Aft of this is a great sun pad zone, easy water access and forward is a clever use of the tender storage area that converts to a hot tub. I think there are two main things that you have to understand about this boat, it has tremendous volume and guest spaces for 115' sailboat, or for that matter a 115' power boat. SHE ALSO SAILS VERY WELL! The present owner did one of two very extensive refits that have been done to her, during which he changed the rig and put in a carbon fiber mast and boom and a fully battened main and did some other tweaks to improve her already good sailing abilities. The other point is her 5 guest cabin layout. During her first major refit when she was "Helios" they did a very complete "de-Italianing" of the boat and they converted the two aft guest cabins into one big master stateroom. 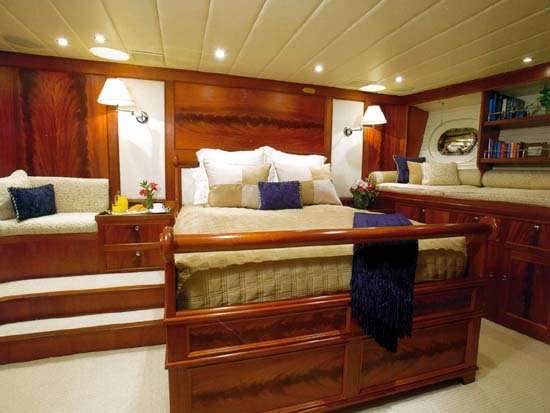 Titan XIV's 5 guest cabin layout, large saloon and great main deck arrangement makes her a wonderful world cruising vessel for a large family and she is still a great charter boat. She needs some updating in her fabrics and attention to the teak decks but over all the boat looks to be in very good condition. Titan XIV is a true all ocean yacht and could be good buy. 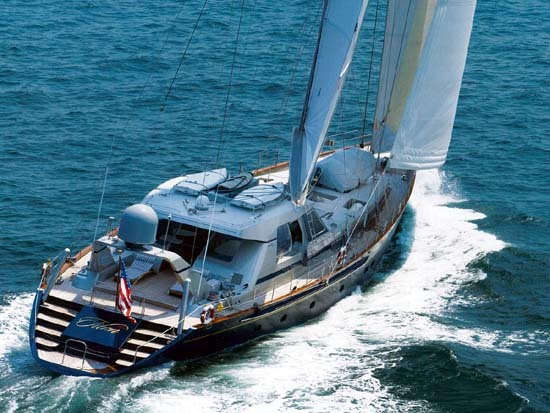 Please Contact John to discuss the full details on this solid world cruising sailing yacht.